Thomas and Lou Ann love to travel – for 2 hours or 20 hours – it’s all FUN – whether flying or driving or cruising the seas! They have traveled to some extraordinarily beautiful places in their 34 years together. Climbed partially up the Matterhorn, dined outdoors in the Austrian Alps, in Paris, breakfast in Innsbruck, swam with Dolphins in the Caribbean, Hawaii and Florida. Hiked in the great National parks. So many rich and wonderful experiences. Please come with them and share more memories and best of all, see what is next on their amazing journey. They created the Positive Place nearly 25 years ago and continue their journey celebrating life to its fullest. They will be happy to share with you their lighthearted approach to living. They are happy to share their experiences with YOU – join them and enrich all our lives! With a background in Holistic Health – as a pharmacist, Lou Ann shared Edgar Cayce products in the 70’s to compounding bio-identical hormones in creams to studying essential oils for creating healthy bodies. Also Acutonics – Acupuncture with tuning forks is another modality she uses. Thomas was the A.R.E. (Association for Research and Enlightenment) Clinic Director when they first met and continues focusing on vibrant living. 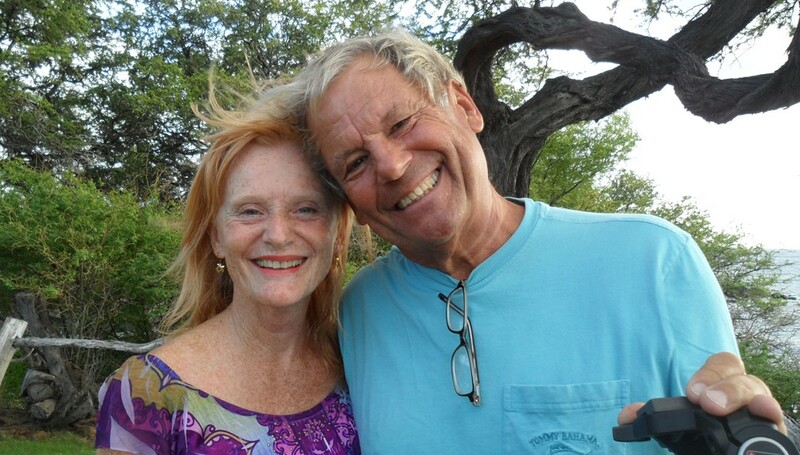 In the early nineties He and Lou Ann created a spiritual center in Sedona. The focus was on discovering how you could live the best possible life! They would love sharing their love of life and ways of being in a healthy and happy relationship with you. Lou Ann teaches Yoga and Zumba – two of her favorite forms of exercise! She would love to share these with you if you want! Thomas shares his wisdom and experience of sports like tennis, his many full marathons and spirituality. Either visiting them in Sedona, AZ or they can come visit you in your part of this vast beautiful world. They are part of a wholesale travel club (love2travelclub.com) – traveling is happening even more often and at amazing prices! Besides traveling they love to share Universal Principles of living life in every moment – filled with laughter and love and magic! If you are interested in creating a deeper relationship with your partner, let them know. They can take you on journeys among the red rocks in Sedona Arizona or wherever you desire to go! They can share with you from their many experiences – whether its yoga or sitting quietly nestled in nature. Please email them at thomas@positiveplace.com or louann@positiveplace.com and they will be happy to share more with you! In 2013 Lou Ann had the privilege of going to Kenya with the founder of CWPO (Children’s World Peace Organization), William Day, to Kenya (one of the three places their program was, besides Nepal and Mexico) – she was a guest facilitator teaching peaceful life skills and conflict resolution to hundreds of students each week – what an eye-opener! We are all so alike in our desires for inner and outer peace! The facilitators there are BFF’s – best friends forever! There was lots of music and dance and laughter throughout the experience! You are welcome to review the Kenya blog and photos about it…..